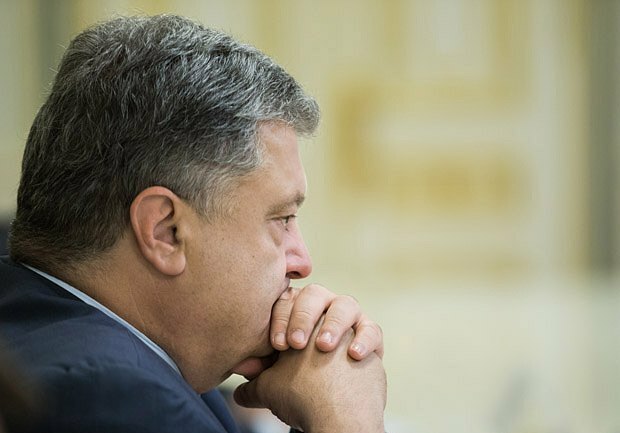 While the interested parties are having a noisy discussion on a probability of early elections, President Petro Poroshenko is consistently building up his power. 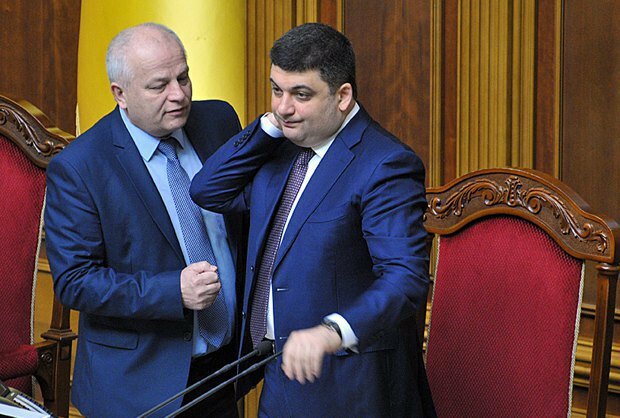 He is quite close to the absolute, all he has to do is to finally strip the People's Front of its subjectness, sideline Interior Minister Arsen Avakov and "clip the wings" of Prime Minister Volodymyr Groysman (if he cannot be replaced). That will be the presidential administration's focus in a new political season. External and domestic conditions are favourable. The presidential administration's holy grail is to form a coalition without the People's Front. Theoretically, it is not unrealistic. Practically, "why would you touch it if it is working somehow? ", people in Bankova Street [where the presidential administration is located] reasonably say. Especially considering that apart from a mathematical aspect, there is also a political one: such a "parliamentary revolution" would be quite dubious and politicians can no longer ignore the public, the times have changed. It is a different story if they form a new informal majority, which is a shortcut to the implementation of the project under the code name of "minus Avakov and Groysman". An added bonus would be not to mind the interests and "whims" of the People's Front. Intermediary stage No 1 is to weaken the People's Front as much as possible. Intermediary stage No 2 is to fully strip it of its subjectness. This can be achieved by pitting various groups within the People's Front against each other (the groups of Andriy Parubiy, Avakov, and Yatsenyuk) and by causing "flank fires". When one's main is to save one's own skin, there is no time for political intrigues. The most recent example is the reactivation of Mykola Martynenko's case by the National Anticorruption Bureau of Ukraine. And everyone knows that Martynenko is Yatsenyuk's man. Another example is Serhiy Pashynskyy's case. It is difficult to predict how it is going to end but it is quite possible that the Prosecutor-General's Office can petition to have him stripped of MP immunity. Whether there are reasons for this is a different issue but this option does exist. It can be used by the authorities as a detonator for internal reformatting in parliament. In fact, the detonator is the key word. And there are so many motions for Avakov's dismissal registered in parliament that there is an assortment of options, in case one wishes to choose one. So it is just a formality to get the thing going. It is not difficult at all to collect necessary votes, if one wishes to do so. Bankova has so far been good in doing its math. The radicals, despite its public rhetoric, are playing into the hands of the authorities. Self-Help is disappointed and demoralized, the waste problem associated with Lviv mayor Andriy Sadovyy is taking its toll. Although waste is not the reason of course, many members of this political force are simply skeptical about the party's prospects. This means that if you want to continue your political career, one needs to adjust one's sights. And not just by someone but by the authorities. The presidential power. Because it is the one and only standing a chance of reproduction. Bankova can hardly wait for the Opposition Bloc to split. I will tell you later whether it is going to happen, for now let's just remember this fact. "Independent" MPs and MP groups represent another asset. Together these factors are sufficient for the authorities to feel confident without "comparing their notes" with the People's Front's "scribbling". This bucolic picture can however be ruined. Ruined by Yuriy Lutsenko. Who is almost not controlled by Bankova and who is preparing to open cases against a number of MPs soon. At least two against Radical Party members, one of them will be a repeat case against Ihor Mosiychuk. There will be one more case, against Oles Dovhyy. There will certainly be no "lock-up", but he may well lose his MP immunity. And this will be enough for the chamber. Enough to bring it home: the presidential administration will have no mercy or shelter for them, it has no such capacity. It is not the best signal for the authorities, would not you agree? The situation in the government is ambiguous too. Poroshenko's relations with Groysman are only a little better than his relations with Yatsenyuk a year ago. Their contradictions simply make it to public domain less often. The presidential administration has almost a textbook complaint: he is "forming his own political image". People in Hrushevskyy Street where the Cabinet of Ministers sits simply smile without denying anything. They also remind Bankova that there is the Vinnytsya European Strategy party which can be used as an alternative power platform, if anything. In this kaleidoscope, the role of Stepan Kubiv, who has had a number of important administrative victories recently, is unclear. At first, the presidential administration considered him its man while the Cabinet of Ministers thought it was one of its people, now each party accuses him of playing along the opponents. Groysman's entourage is categorical, saying "Scholz started working for the master". "We have paid him off with a post. No-one owes anyone anything," the presidential administration replies. The truth is somewhere in between. The story with Ukrzaliznytsya's (Ukrainian Railways) resubordnation has different interpretations. One thing is clear: the first deputy prime minister's post under Kubiv has clearly grown in importance. This increases its holder's chance of "growing up" to the prime minister's post. If modifiers of time and place look favourable of course. At the same time, any parliamentary maneuvering by the presidential administration is complicated by the situation inside the PPB. The faction has long been having problems with its integrity and manageability. This is point No 1. It became especially obvious recently when Ihor Hryniv stopped hiding his intention to hang up his axe. This is point No 2.
Who could replace Hryniv as faction head? There is no unity with regard to this issue. The main parliamentary players authorized by Bankova are still Serhiy Berezenko and Ihor Kononenko. However it is clear that the faction head must be a public person while neither of the two is fully prepared for this. Besides, Ihor Kononenko is busy with his own problems. Shortly before the New Year, he was found to be… poisoned with mercury. According to doctors' conclusions, the amount of mercury in his blood was 50 times in excess. It is clear that it was for a reason. According to sources, the poisoning did not happen at once, mercury has been accumulating in his body for a while. Thus it is hard to escape a conclusion that it was not a murder attempt but rather an attempt to intimidate and make him step aside for half a year or more. 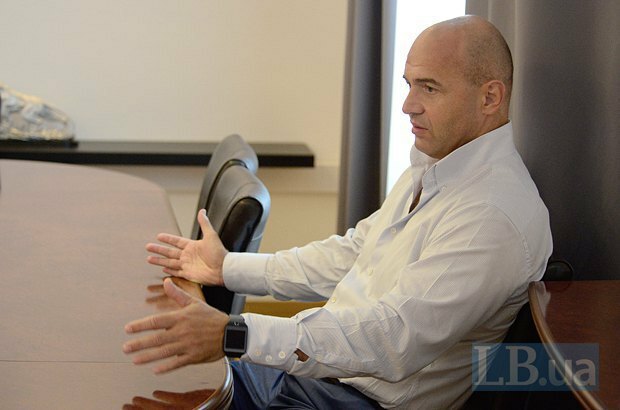 Considering that Kononenko is the president's right hand not so much in political but in delicate business affairs, it would be quite logical to assume that it was a message not to Ihor Vitaliyovych, but Petro Oleksiyovych. One way or another, Kononenko is busy with getting treatment and does not care much about parliamentary affairs today. Anyway, I got off the subject. So who can potentially replace Ihor Hryniv? Bankova gives various names: Iryna Herashchenko, Iryna Lutsenko, Anatoliy Matviyenko and so on. There is a but for each one of them. In particular, Iryna Herashchenko is unlikely to want to change her status of first deputy speaker for faction head; such career growth would be logical for Iryna Lutsenko but it is unlikely to be allowed because it would strengthen the positions of the Lutsenko family; the presidential administration has no clear opinion about Anatoliy Matviyenko and so on. The issue is even broader because the PPB needs to make up its mind about the party head in addition to the faction head. The former is still Vitaliy Klitschko who took the post a long time ago when the PPB and UDAR were still partners. The situation has long changed since then, however, considering a very bad deficit of people in the president's team, this decision gets delayed all the time. In the presidential administration, the key decisions are taken by a narrow group of people. It includes the president, Makar Pasenyuk, Ihor Kononenko and Oleksandr Hranovskyy. Ihor Raynin, Borys Lozhkin, Vitaliy Kovalchuk and Oleksandr Turchynov belong to an "extended composition" which gets summoned if there is a need. 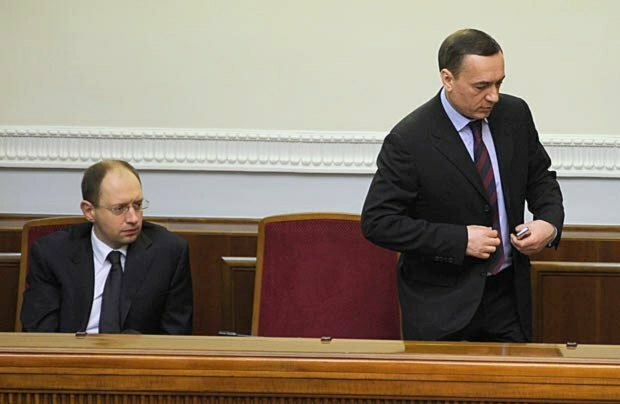 Opposition Bloc: "We have a third partner, Medvedchuk"
Rumours about a split in the Opposition Bloc have long been circulating. So long that they have bored everyone to death. In fact, the Opposition Bloc has from the start been an artificial formation (just like the People's Front) tailored to participation in elections. Its majority stakeholders are the groups of Rinat Akhmetov and Dmytro Firtash. They took all the important decisions between them. Akhmetov, Borys Kolesnikov (head of the opposition government) and Vadym Novinskyy, on the one hand, and Firtash, Yuriy Boyko and Serhiy Lyovochkin, on the other hand. However, forced cooperation did not reconcile the old opponents – conflicts between Kolesnikov and Lyovochkin, Kolesnikov and Vilkul and others sparked on a regular basis. The Akhmetov wing of the Opposition Bloc likes to recall how in 2014, their long-time adviser Paul Manafort urged the two teams to unite their efforts whereas in September 2015, he said something along these lines: "For Rinat and Borys, the country's benefit is their benefit because if everything is okay with the country, their business grows; whereas for Boyko and Lyovochkin, power is business. Thus, my dear friends, you have fundamental disagreements and the sooner you say goodbye to each other the better." A lot of time has passed since then, and tension in the Opposition Bloc has only been growing. So it would only be natural to ask why a potential split made the agenda now? The official version is that the former partners have differing views of the future. Charmed by Yuriy Boyko's current approval ratings, Firtash's group is interested in early elections. In the meantime, Akhmetov's group has a more pragmatic view of things and is prepared to act as "constructive opposition", sometimes neatly playing along the presidential administration, when need be. The unofficial version has in fact been made public. Except for one but. 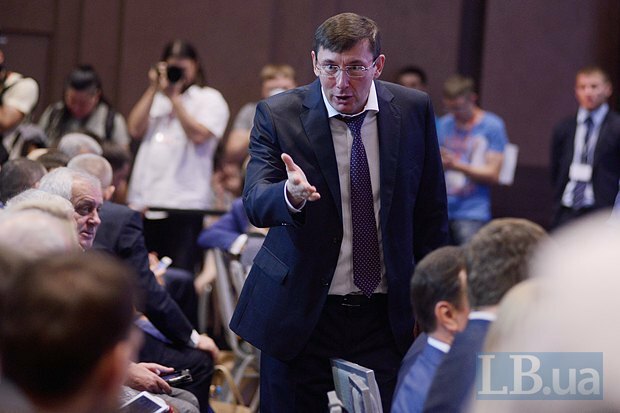 After his recent visit to Moscow (umpteenth), Yuriy Boyko brought the news for the Opposition Bloc, "we are given a third partner", who turned out to be Viktor Medvedchuk. Akhmetov's group is absolutely against. Not just because they will now have to decide between the three, not two as it was before. 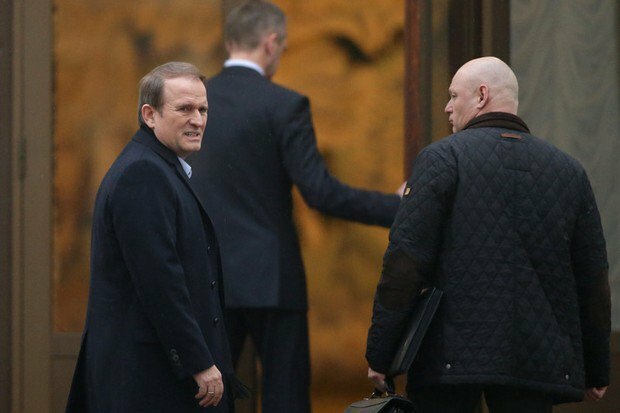 Although they are certainly not going to trade their shares in favour of Medvedchuk's group, neither they are happy with such a neighbor as such. That is how the process of separation was launched. It is expected to be completed at the start of a new parliamentary session, 6 or 7 February. Legal issues remain to be settled: how not to reset the party ticket if the faction splits. Currently, it is assumed that the Opposition Bloc will split not into two parties but into two MP groups. The Firtash group will still be headed by Boyko and the Akhmetov group by Novinskyy. The Akhmetov group is not in hurry to form a separate party. "Election is not on the agenda, so why would we?" they say, recalling that they already have the Party of Regions and the Party of Peace and Development brands "on their balance". They have a lot should they decide to reproduce. One cannot rule out of course that Opposition Bloc may have the last minute self-preservation instinct and the "Medvedchuk issue" will be hushed up and a divorce will be delayed until later (after many years of observation, I can say that if these individuals make a decision, they act on it immediately, whereas in this case they have been dragging their feet for three weeks now), but anyway a broken cup cannot be glued back to its original self. Bankova is only happy to see the Opposition Bloc edging on a split: Akhmetov's people, regardless of the name they choose for themselves, are potential allies in strengthening Poroshenko's power. Why? Because Rinat Akhmetov himself is de fact a long-term partner of Petro Poroshenko. He is not a partner in business (although one cannot rule this out) but in unwritten rules. And it is worth a lot in terms of Ukrainian politics. In fact, Akhmetov is the only Ukrainian oligarch of the "old wave" who not just stayed afloat but continued to make money in new reality. Although Ihor Kolomoyskyy is dreaming about forming his own MP group (which has a bad manning problem), he is now more busy with settling his own financial problems. Sooner or later, the text of the agreement he and Hennadiy Boholyubov signed with the Ukrainian authorities (represented by the Finance Ministry and the National Bank of Ukraine) during the nationalization of Privatbank will be leaked to the press. In particular, the agreement obliges Privatbank's owners to secure the bank's numerous loans with real collateral in the course of six months. This requires money. And Kolomoyskyy has a problem with this at the moment. Including because of his London-based litigation with Viktor Pinchuk. "Life is a supermarket where you can take what you want but there is a cash desk at the end," a classic used to say. So now Ihor Valeriyovych has faced the music. As for Viktor Pinchuk, his scandalous article in The Wall Street Journal has disqualified him. For long. As proven by the Ukrainian Lunch in Davos. Dmytro Firtash, who is in exile in Austria, is in an ambiguous position. The change of the US administration may well change his life for the better. Considering that Mr Firtash is a victim of the industrial conflict with a business affiliated with Clintons clan, one cannot rule out that under the new US administration he can take the place which Viktor Pinchuk has been seeking on words. However this takes time. It is getting increasingly more difficult to influence the developments in the country remotely, and his partners are growing apart. 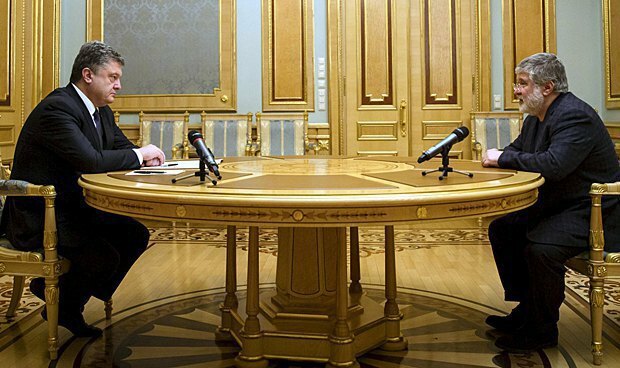 Yes, Serhiy Lyovochkin and the head of state have long-time friendly relations but I think you will agree that Lyovochkin and Boyko, who have Firtash behind their backs, are one thing but without Firtash the picture is absolutely different. Yes, and the Inter TV channel is a variable. Thus, Rinat Leonidovych is the last man standing with a status quo. It is certainly different from what it used to be during Viktor Fedorovych's fat times but he cannot complain. The existing situation gives Bankova one more important benefit. Earlier the tectonic shifts in Ukrainian politics were always ensured by oligarchs. To be more accurate, by a consensus of oligarchs. It was their "bet" largely predetermined the fate of one or another candidate for president or a chance of some party to make it to parliament. Such a consensus is no longer possible. As we have learnt, there are no more oligarchs of the previous format. They have vanished as a group. Coma. And Akhmetov is a partner. Full stop. So the "deoligarchization" announced by Petro Oleksiyovych is happening. The problem is that he understands it his own way. And implements it accordingly. Could Viktor Pinchuk imagine just recently that he would have to channel all his efforts, resources, contacts and influence into guaranteeing Poroshenko's presence at his Davos lunch? And that after all he would be turned down? Could Akhmetov imagine that he would have to seek a partnership with Poroshenko? 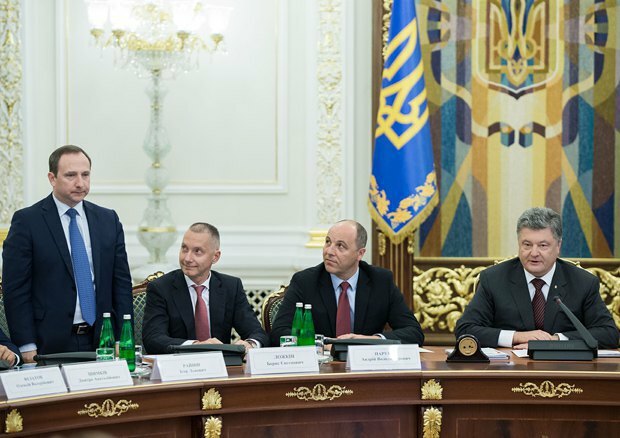 Could Firtash predict that his closest allies would be competing for the status of Poroshenko's "junior partners"? Could weathered chess-player Kolomoyskyy suspect that that Poroshenko would give him a childish but absolutely crushing mate? In all these cases the answer will be negative, of course. The truth is that neither oligarchs nor friends of the incumbent president, neither his enemies nor partners nor situational companions have initially estimated him correctly. And they continue to underestimate him.